I am so excited about my latest poster set that I have to blog about it! If you follow me on any of the social media you would know that I use a lot of bright colors in many of my resources. Hey, what can I say? I just cannot help it! 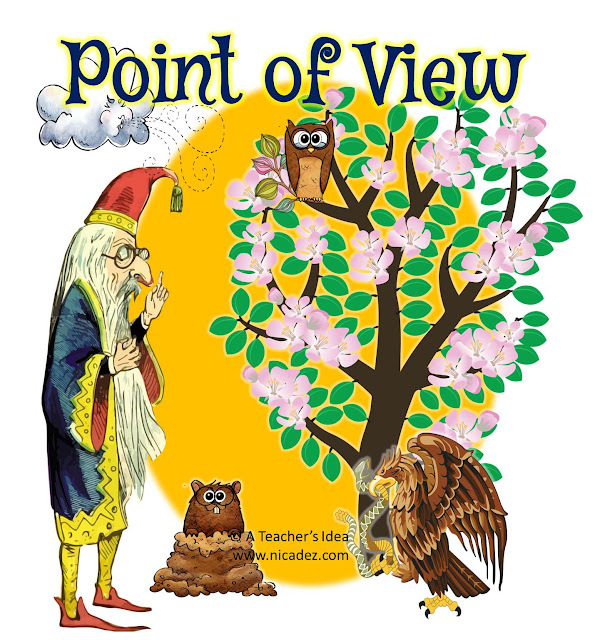 This Point of View Poster set contains 12 Point of View Posters for your classroom. These posters make a great reference for your students to use when identifying point of view. 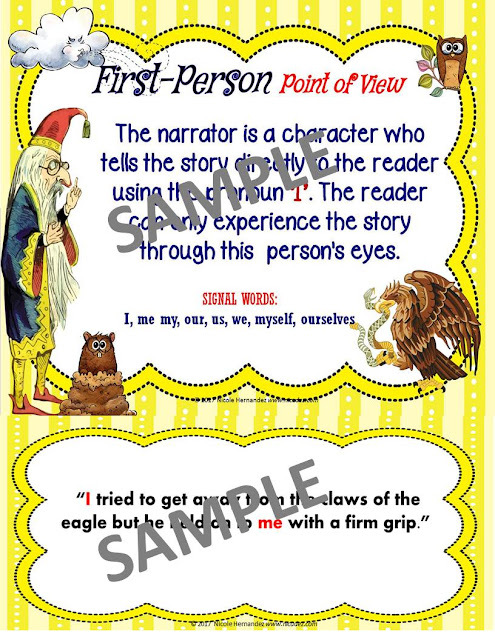 Using these visuals will help students decipher who is telling the story and which point of view the author chose to use: first-person, second-person or third-person. The packet includes color-coded examples of each POV to go along with the posters. You’ll find 1st person, 2nd person, 3rd person omniscient, 3rd person limited, and third person objective posters included. If you’d like to purchase a set, head on over to Teachers Pay Teachers. Hurry! It's 50% off for the first 48 hours!